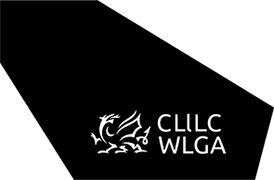 The Constitution of the Welsh Local Government Association (WLGA) allows the WLGA Council to establish a Members Allowances Scheme for payments to WLGA Office Holders. The Scheme is voluntary and members can choose whether or not to draw down their allowance; the total budget for the scheme is £30,000 per annum. The Members’ Allowances Scheme will be reviewed on an annual basis by the Audit Committee, with recommendations for any changes to come before the full WLGA Council for approval. The WLGA Allowances Scheme is not within the remit of the Independent Remuneration Panel for Wales. Furthermore, WLGA and/or other Welsh local authority members may be appointed to other LGA Boards (and may be entitled to receive allowances ranging from £2,731 to £16,381 depending on the role), however, these members are appointed as representatives of the LGA Political Groups and not on behalf of the WLGA.